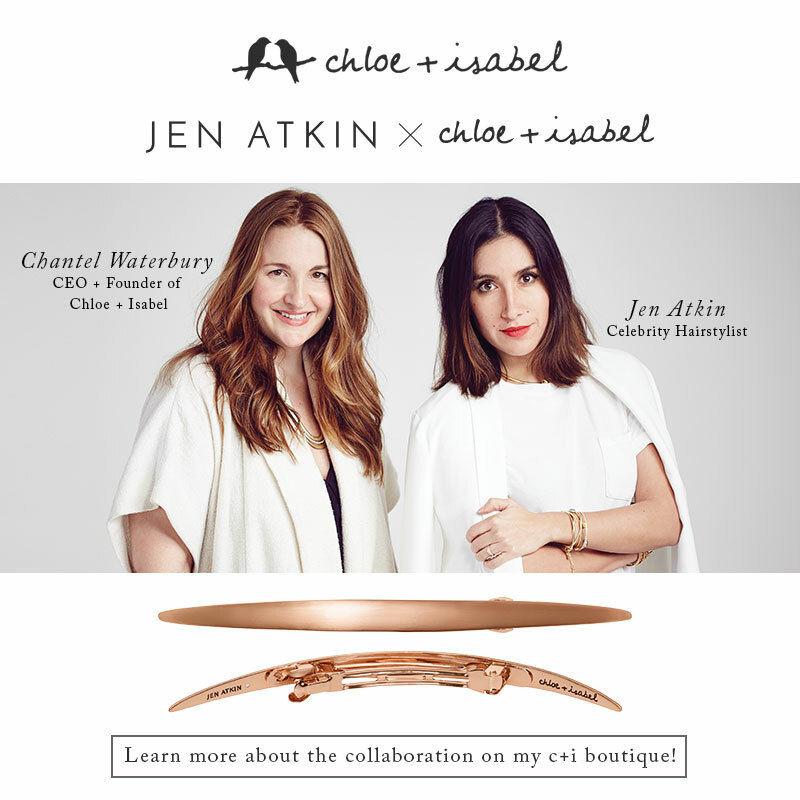 Recently Chloe + Isabel partnered with hairstylist superstar, Jen Atkin to come on with a hair accessory line! This is a lady who has clients like the Kardashians, Jessica Alba, Katy Perry, and Sofia Vergara! Being a licensed cosmetologist and lover of all hair products I am SO excited about this! There are some seriously cool pieces in this collection, all very trendy, and truly modern! All of these pieces are now live and you can get them all in my boutique! Being a Retail Management major and wanting to be in the wonderful world of fashion I always imagined (feared) that my internship would be like The Devil Wears Prada. Working for an evil tyrant who just expects me to drop everything and be at her beckon call, always working late nights, and doing more coffee runs than one should ever have to do. So here I am, Summer before my Senior year just starting my internship and it is nothing like I pictured…. can I get a hallelujah!? Granted, there are still the occasional coffee runs and late night emails but my boss is nothing like Miranda Presley. When I began The Great Internship Hunt of 2016 I dreaded the idea of having to do an internship in a retail store where I pretty much just fold clothes and keep a store clean, my goal isn’t to be a sales associate the rest of my life so why would I want that? I am still in the begining of my internship and learning how everything works. Now I know I’m only in Texas and not in a big fancy New York magazine office but it is still a lot of fun and I am so thankful for this internship! And I’ve been to New York during the Summer and I almost think it was hotter there then it was in Texas….I didn’t think that was possible! This Summer I am working for a fashion producer for a photography company, she is also a blogger so I get to see all the details that go into the production and making of a blog. I’ve only been doing it for a few weeks so stay tuned for the future internship adventures! I love, love, LOVE Spring! The pretty colors, all the gorgeous flowers, the nice weather, but most importantly the clothes! Recently Chloe + Isabel launched a new line, From Rome with Love and it is everything I could have hoped for and more. I know i say this every time a new line comes out…..but I really think this is my favorite! I am not a big floral jewelry person at all but the Bella Fiore Statement Necklace and matching earrings really caught my attention so I just had to get them! It is beautiful and it features Pantones colors of the year, Serenity Blue and Rose Quartz. Plus it goes great with a t-shirt! I love having jewelry that can go with a dress and heels but then you can turn it around and wear it with a t-shirt and jeans! And how cute is this Blair Waldorf shirt from Shop RiffRaff!? I am a Gossip Girl junkie so of course I had to get this! This is just one of the collections I loved so make sure to check out my boutique to see all the other beautiful pieces! I’m a bit of a snob when it comes to beauty products. I don’t want cheap products on my skin or in my hair so I tend to splurge a little when it comes to beauty. 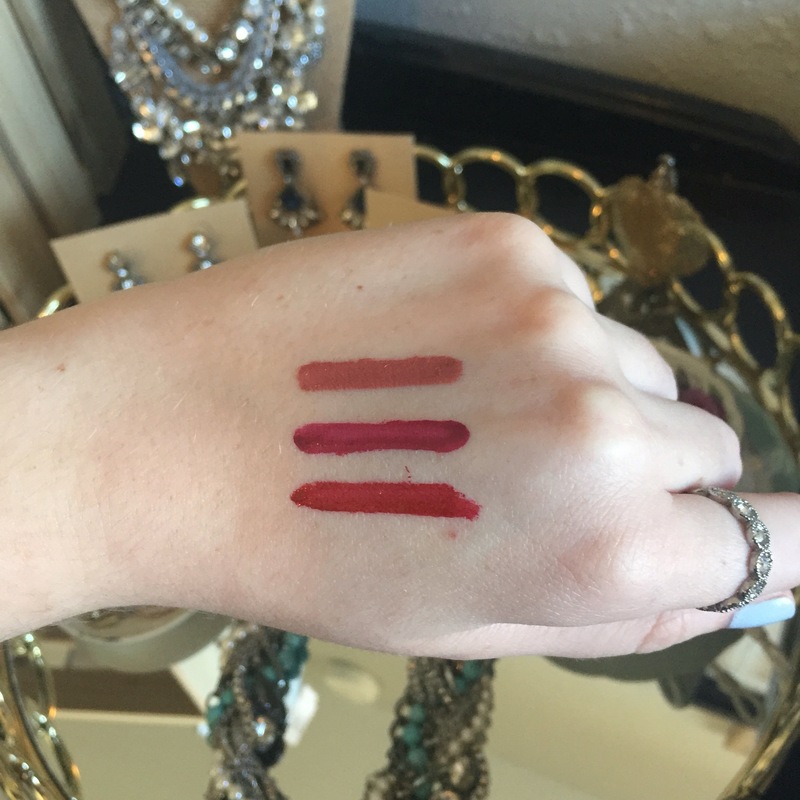 I was a little skeptical about this liquid lipstick set, everyone talked about how wonderful and great they are so I finally caved and bought them…. YALL, I love these! I was SO surprised at how smooth and creamy they are, they aren’t sticky at all and they aren’t too thick. And I love the colors! A dusty rose (Isabel), bold berry (Chloe), and a classic red (Chloe-bel). Love, love, LOVE! Would be perfect for Valentines Day, either as a gift or for yourself! 💋💄💕 The pictures really don’t do the colors justice either, my iPhone kind of distorts the colors a little. This isn’t my picture, another merchandiser took the picture and it really captures the pigment in them than my iPhone can. The tubs were a lot larger than I expected them to be! The also come in this cute pack together! From top to bottom: Isabel, Chloe, and Chloe-bel. When it comes to having that beautiful sun-kissed glow in the summer I fall a little short. Okay….a lot. I look like a lost cast member from Twilight. I think I have tried every type of self tanner I can find but they either make your orange or they have a really strong smell, I get spray tans sometimes but those can get expensive, and I absolutely refuse to tan in a tanning bed! I’ve used Jergens tanning lotion on my legs for a long time but it is one of those you have to be very careful where you put it because even the lightest shade is very dark on me and is very noticeable if you don’t cover everything and I’m not crazy about the smell. I know St. Tropez is a pretty popular brand of self tanner so I went to my local Ulta and bought some. I got the ‘In shower’ Gradual Tanner, Self Tan Bronzing Mousse, and the Applicator Mitt to put the mousse on with so it didn’t get all over my hands. I tried the ‘In shower’ tanner on my arms and upper body and used the bronzing mousse on my legs just so I could see the difference in the two. This is just after one application ( top picture of my arm is with no tanner and left picture of my legs is with no tanner) and I really can’t tell much of a difference so i’m going to have to apply a few more times to get the color I want. But I love the smell of these products and they didn’t make me orange! I can tell a difference on my legs a little more in person than on my arms, it is just hard to tell in the picture. I also am a really big fan of Tan Towels, they give you a really pretty color and it shows up a lot darker than the St. Tropez did but doesn’t make you look like an carrot! If anyone has any other suggestions I would love to hear them! Hey, yall! Welcome to Bobby Pins and Baubles! I decided to start this blog because I am looking for a creative outlet and it sounded like a fun thing to do. So now let me tell you a little bit about myself, I am a 23 year old college student studying Retail Management, I have 2 fur babies. Before deciding on Retail Management I went to Cosmetology school and worked in a salon for a while, I always loved doing my friends hair and makeup and have an obsession with everything from makeup to hair products so it seemed like a good idea since I was only 18 and had no idea what I wanted to do with my life. Playing with makeup and doing hair all day seemed like a pretty good idea! After about 2 years I decided that I wanted to go back to school because I knew if I didn’t go back then I never would, and now I am a year away from graduation and I can not wait!! I always new I wanted to do something with fashion, I just figured living in a tiny town in Texas it would be very hard to do, but no matter what I did I was never satisfied. I dabbled in Public Relations because Samantha Jones just makes it look so glamorous! But I didin’t love it, so I talked with an adviser and finally made the decision to dive into Retail Management and I LOVE it, I am finally 100% content with my major and so excited for my future! Long term goal is to have my own boutique/hair salon. In April I stumbled across something called Chloe + Isabel and I fell in love with the company, the products and everything they stand for and took a chance and signed up to be a merchandiser. This company is amazing, yall. I have never encountered so many supportive, honest, caring, and helpful women in my entire life. It is an amazing community and the jewelry is equally amazing. Everything is hypoallergenic, lead-free, and nickle-free, and has a lifetime replacement guarantee. If anyone has any questions or wants to learn more about the company please feel free to ask me! These are my fur babies, Gypsy (my yentl puppy, I also have an extreme theater addiction and have been a part of several productions) and sweet Emma! A little Vogueing in Cosmetology school. Americas Next Top Model style. Me and my amazing boyfriend, E. In all his soon to be Duck Dynasty beard glory. Just a few necklaces that I LOVE from my Chloe + Isabel by Kaitlyn boutique. So there is just a little about myself. I am very excited to see what this year will bring and what this blog will bring! If you have any questions, just ask!